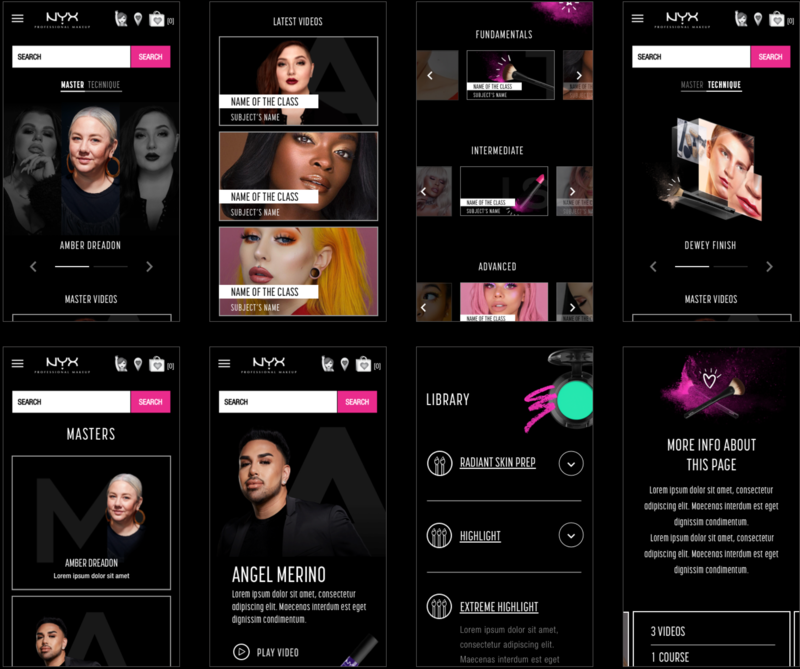 L’Oreal came to North Kingdom with the objective of creating an online educational platform for make up artists, amateur and professionals. We were tasked to create a video library platform that was still in its begining stages with very few videos, but a ton of potential. 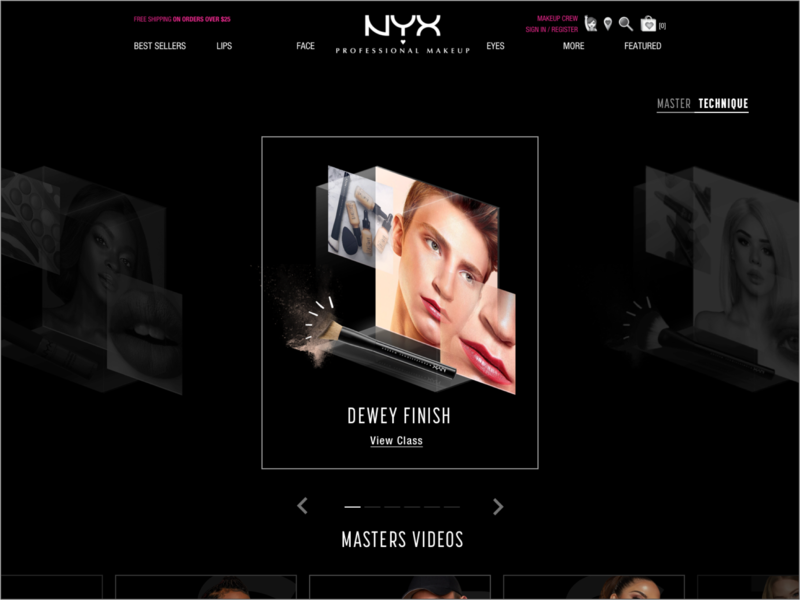 The program was called NYX Masterclass, an online platform that taught techniques and make up tricks to make makeup accessible to everyone. INSPIRING LIBRARY. RICH AND FRESH DESIGN. The goal was to create a site that begged for more engagement and user discovery. 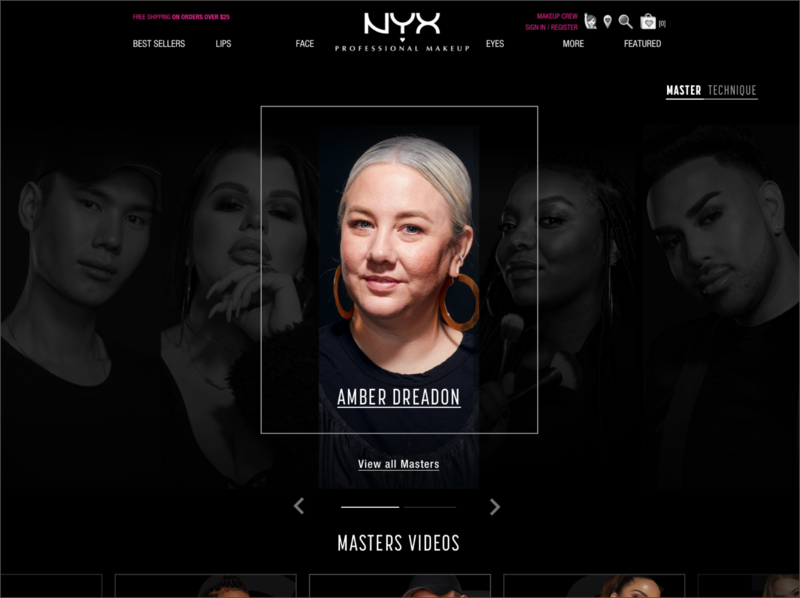 With the little amount of videos we had for launch (total of 30) we created different category libraries, curated by 11 master make up artists. That wat we were able to have content that could appear across multiple libraries without feeling repetitive but giving continuity to each program. We filtered everything by technique, master and levels of difficulty, allowing the user chose how they best would like to interact with that content. The techniques were represented by these acrylic box, product and glam shots from their instagram account. Allowing us to build that in code to surface hashtags related to each video and master featured. We also sprinkled the site with fun animations, created with product images and doodles that kept the page fun and fresh. There is nothing sexier than a piece of sturdy, sans serif type that is legible on print and screen. I love you Gotham, like Batman loves Catwoman. And you look real good paired with Korolev and Helvetica – odd trio but done properly, nice.